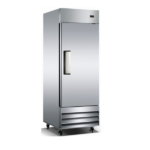 When you enter the market for a new refrigerator, quality is something you can’t afford to sacrifice on. 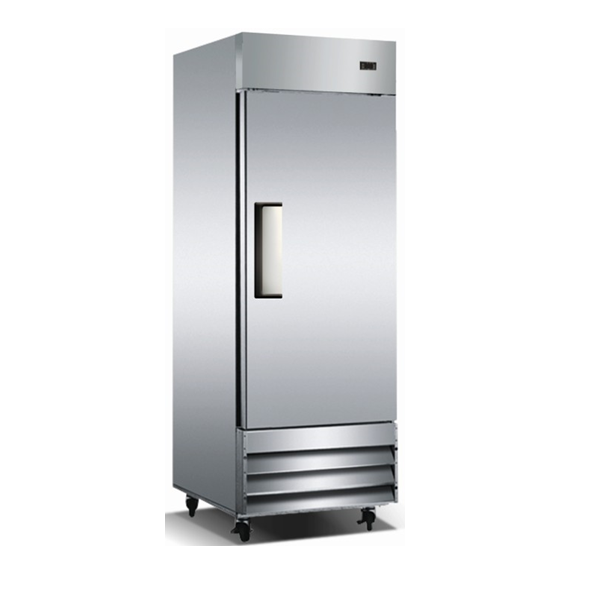 PURE’s solid-door refrigerators are a quality that our customers have come to depend on. 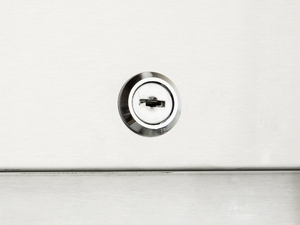 Their polished stainless steel exterior creates a clean, modern and timeless look for your kitchen. 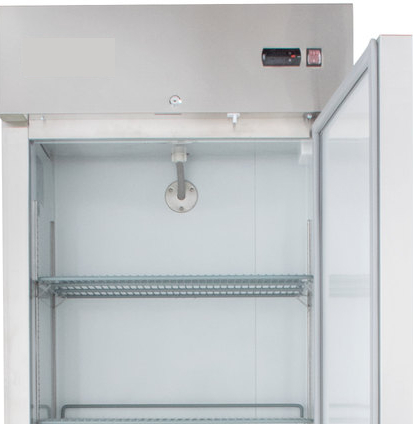 This refrigerator is a dream come true for any restaurant that’s tight on space. 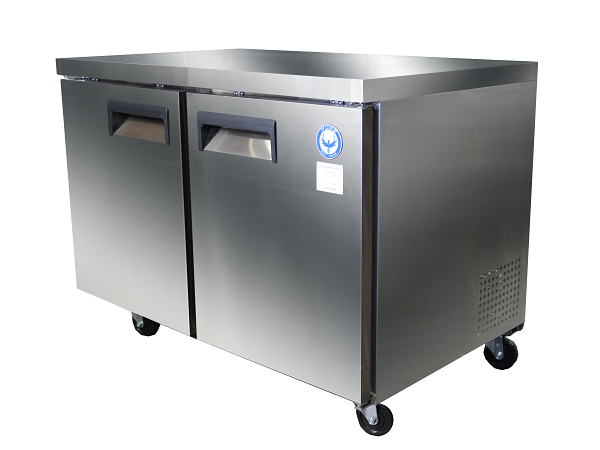 Even at only 25 1/2″ deep, this unit still offers 19 cubic feet of cold storage. 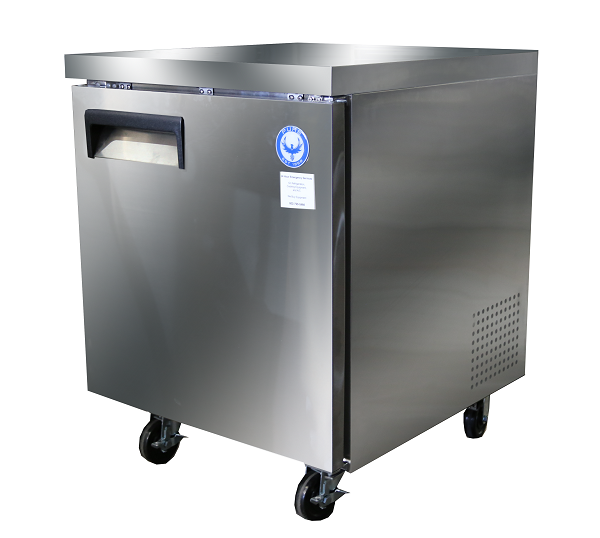 And if you need a narrow refrigerator for your location, this would be an ideal choice since it runs more narrow than standard refrigerators of its size. 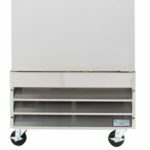 But don’t let the space-saving features fool you, this commercial refrigerator has multiple adjustable shelves that make the most out of every cubic foot. 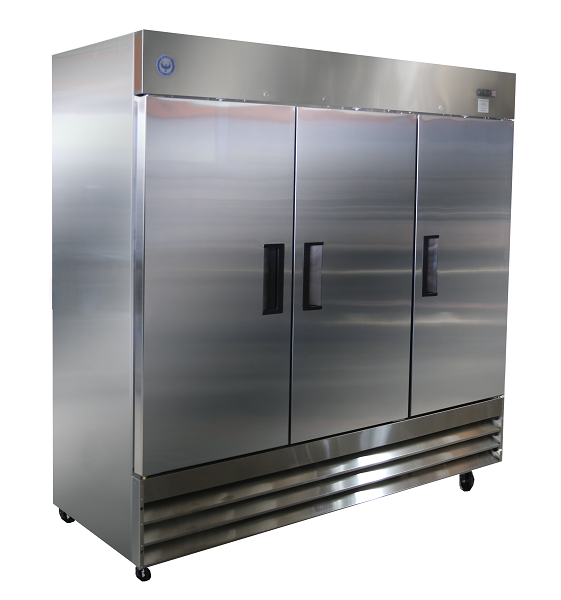 A powerful R-290 refrigeration system keeps your prepared foods in temp, and out of the danger-zone. 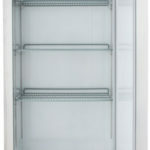 Did you know that new refrigerator shelves can cost up to $120? And did you know that the number one cause of shelves failing is rust and corrosion? 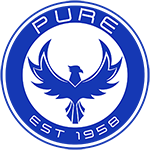 When you buy PURE, you won’t have to worry about things like this. 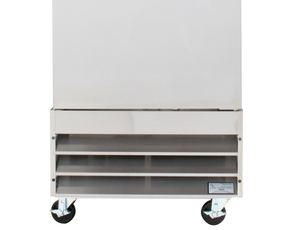 These heavy-duty, plastic-coated adjustable shelves have been designed to keep out moisture and resist corrosion. 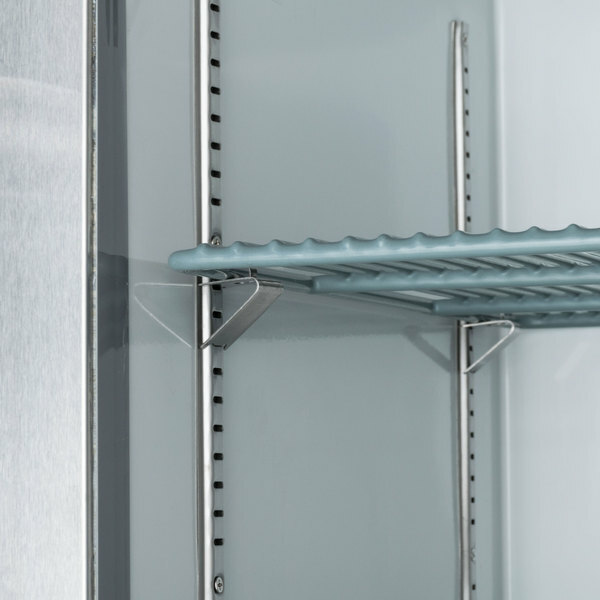 Each unit comes with 3 shelves and 12 shelf clips, allowing you to place your shelves exactly where you need them to accommodate your small or large food products. 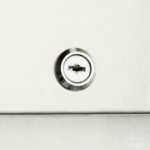 External digital temperature controls allow you to easily adjust the temperature of your refrigerator’s cabinet without letting the cold air out. 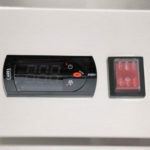 The controller is preprogrammed to keep the unit between 32 and 41 degrees to avoid any issues with health inspectors. And the clear LCD readout makes it easy to track temperatures throughout the day. 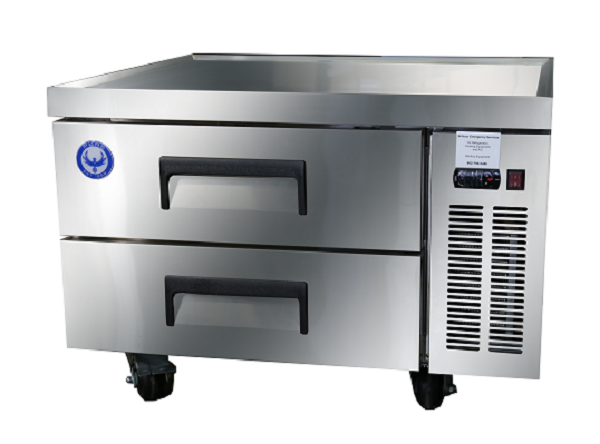 The digital controls also ensure proper defrost 4 times a day, to keep food fresh and properly chilled. This bottom mount refrigerator makes life better in two ways. First, it raises the bottom shelf, which means less bending over, and therefore less chance of back injury. And second, because hot air rises, it takes in cooler air which makes it more energy efficient. 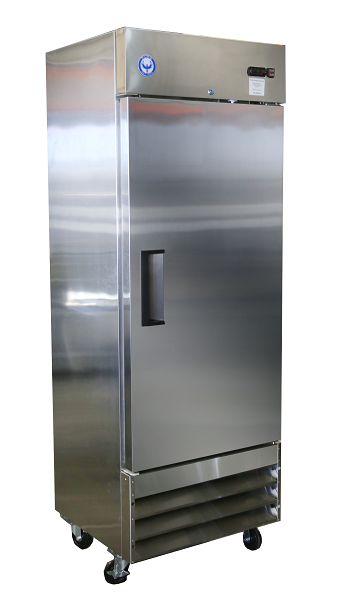 Be the first to review “PRIR19 19 Cu Ft Reach-In Refrigerator” Click here to cancel reply.